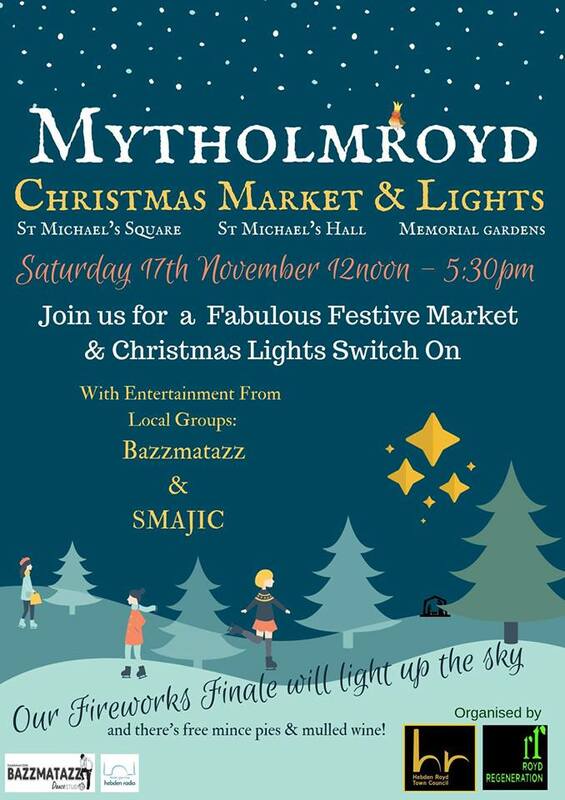 On Saturday 17 November, 12:00pm-5:30pm, visit 3 locations in Mytholmroyd, for a day of festive fun with over 30 market stalls (ideal for purchasing Christmas presents) and lots of tasty food and drink available! With live performances from local groups; Bazzmatazz & SMAJIC, free minced pies and mulled wine and a fantastic festive firework display, the day is one to surely blow you away! The event will take place in St. Michael’s Square, St. Michael’s Hall and across the main road in the Memorial Gardens. Bring the festive season in with a bang!